Patients suffering from rare diseases or life-threatening illnesses, like cancer, can often find that there are very few treatment options available to them. For these patients, accessing an investigational drug outside of the clinical trial setting could be the only viable option. Governments and health agencies across the world recognize the importance of providing pre-approval access to promising drugs that are still in development, and they have created country-specific guidelines to manage and regulate this. In the US, recently approved legislation means that patients now have two avenues for accessing investigational drugs, Right to Try and the FDA’s Expanded Access pathway. However, while regulators are in support, in no country are they able to force a drug company to provide its drug to patient’s that are not enrolled in a clinical trial. Therefore, the decision to grant pre-approval drug access lies solely with the drug manufacturer. Because there are some key benefits associated with making investigational drugs available to patients, but also some obvious risks, companies have different approaches. 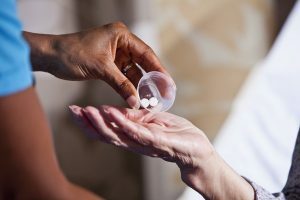 Some choose to deny all requests they receive from patients; some grant limited access through a formal program with inclusion/exclusion criteria which are less stringent than the clinical trial; then, in smaller patient populations, some companies choose to provide access to any and all patients that inquire. Most companies with drugs in Phase II or Phase III clinical trials will have their policy on pre-approval drug access published on their website. In the US, this is now a requirement under the 21st Century Cures Act, which was passed at the end of 2016. In their policy, companies should clearly state whether they have chosen to provide drug access outside of the clinical trial setting. If they do offer access, companies should provide guidance on how to make a request, along with the appropriate contact information, as well as details on how the company will review a request and how long it will take for the company to provide a response. If a company decides not to allow preapproval access to its products, patients may be able to appeal the decision. However, fundamentally, there is nothing that can be done if the company is not on board. It is important for patients to understand that there are a number of valid reasons for refusing access to a product, such as supply issues, lack of resources, and preferences to focus on the clinical trial.